>40 years ago today the first two nodes of what would become the ARPANET were interconnected between UCLA’s School of Engineering and Applied Science and SRI International in Menlo Park, California. ARPANET was the birth of what we now call the Internet. >What is it with these “cute” messages when a web site is down or unavailable? Is the cuteness supposed to make me less frustrated? The monster has escaped? The ice cream cone says it can chill? I’m sure there is some well documented psychological studies behind this kind of thing, but I am not placated. I am not! If you search for images of Jesus on the Internet you will find an unending supply of everything from the serious to the comic, pious to the sacrilegious, realistic to the saccharine. Jesus has always been an appropriated figure by different Christian groups, but now it seems everyone appropriates Jesus for any reason, group, or perspective. Or, to put it another way, Jesus is increasingly seen as a non-religious figure who can be anything you want him to be. I think this can be seen as both a bad thing and a good thing. Bad because Jesus was and is who he was and is. Any other perspective or viewpoint is not true. That would hold true for our perspective of anyone. 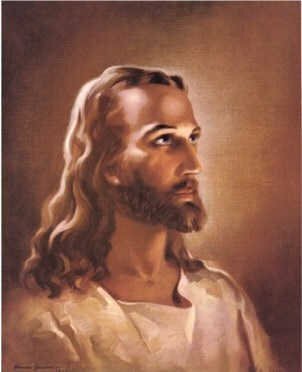 But it’s good because so many traditional images of Jesus are just as wrong headed as the many non-traditional. It is a good thing to have our assumptions challenged, and to be reminded that we may not know as much as we think we do. If we don’t take Jesus seriously then, I suppose, anything goes. But if we do take him seriously then it makes sense to find out who he really was – and is. I would expect non-Christians to have fairly limited knowledge of Jesus but, ironically, many Christians do as well. 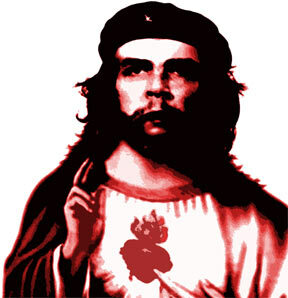 I saw a lot of politicized images of Jesus. One of the biggest debates going on today (consciously and unconsciously) is whether Jesus was a political figure with a political agenda and whether that political agenda was conservative or liberal. 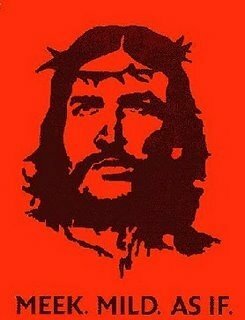 I am inclined to think Jesus was more of a political figure than I have been taught, and I am inclined to see the more liberal side of his politics. However, I think his politics were far more radical than either left or right. 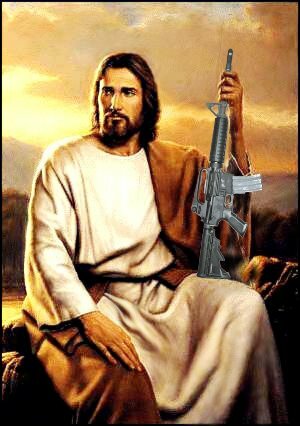 The not-meek, not-mild Jesus. Sure he’ll die for your sins, but he’s still as tough as a Chevy truck. 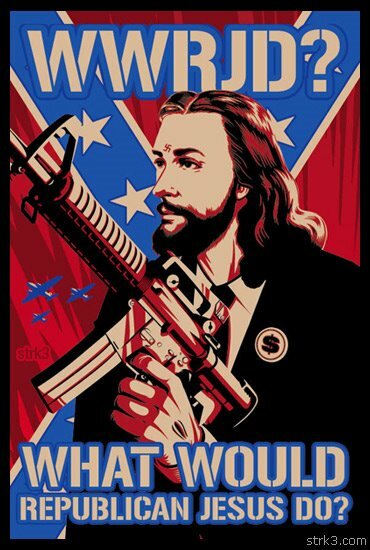 No comment needed – except – reminds me of the ‘who would Jesus bomb’ slogan. 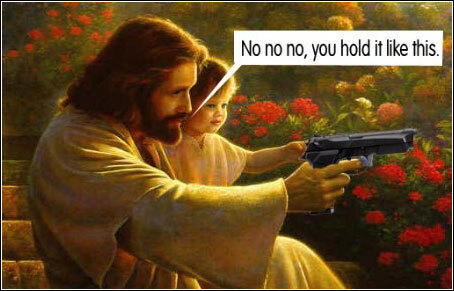 The kind, teaching non-non-violent Jesus. The Jesus for whom there will be no cross, I suppose. Lookout Romans, it’s smackdown time. The twitter gospel Jesus. 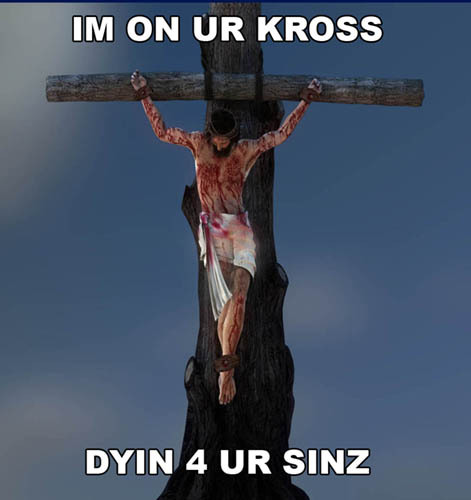 But why does “sins” have to be spelled with a “z”? It’s not any shorter or easier to type on your blackberry. 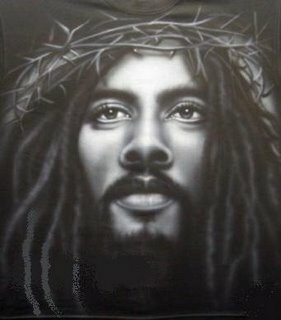 The Rastafarian Jesus (I suppose). Is he actually looking at anything? 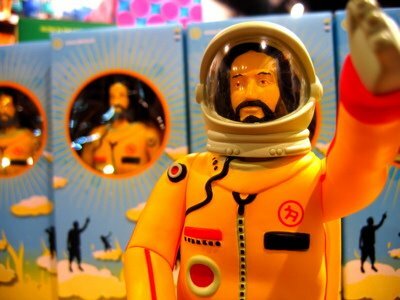 The astronaut Jesus. He’s in orbit and he’s coming back! 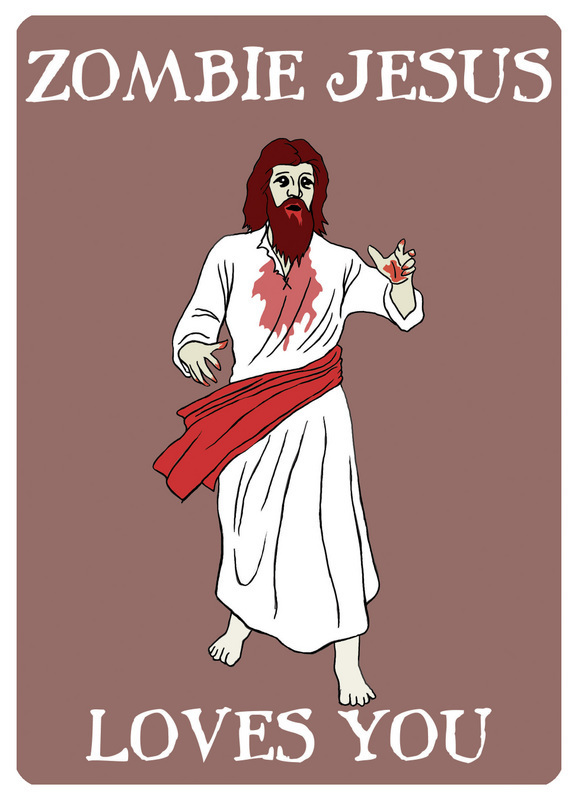 And ironically, maybe the most scriptural of all, the un-dead Jesus. He lives! And yet, we have this one in our house and I like it. Hmm. >The following cartoon is from my friend Dan. 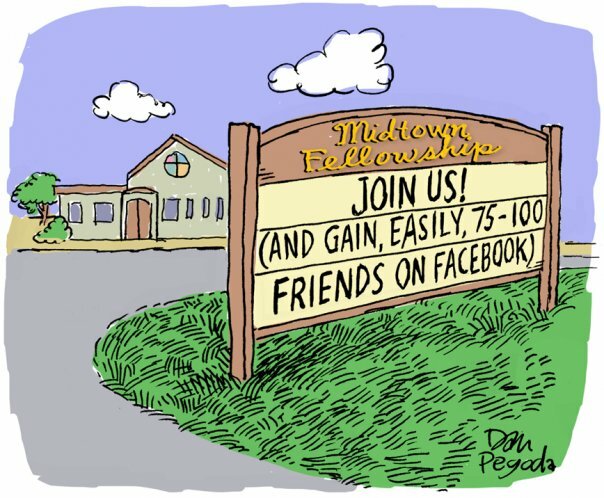 It’s really what church is all about, isn’t it. If you are like me, you’ve grown up in an essentially visual world, and you probably think visually more than not. One of the reasons I started blogging was because I could include images and graphics in my blog as well as design the look and feel of the whole thing (practically – I am using Blogger after all). Videos: Blaise Aguera y Arcas: Jaw-dropping Photosynth demo at the TED conference and the Microsoft promo video of Photosynth. So this post is not really about movies, but it’s related in a way, and I have to say, Photosynth is cool.